Urban flood risk management is a dynamic challenge- the problem and circumstances keep changing, which constantly requires innovative approaches to the issue. The commonly applied risk based approach to manage urban floods has many shortcomings. The approach is often sectoral, it does not always capture the difference between low probability/high consequence events and high probability/low consequence events, or consider all consequences of floods such as indirect damages or reputation loss. Also, little attention is given to recovery capacity and recovery rates. When decision makers and analysts face a deeply uncertain future (e.g. due to climate change), they need more than traditional prediction or scenario-based decision methods to help them evaluate risks, alternatives and make decisions. Urban flood resilience can be enhanced by adopting a flexible approach that supports the development of an adaptive plan which deals better with uncertainties and potential risks. The session will demonstrate the use and benefits of an adaptive approach through case studies and discuss its potential application in client countries across the world. Audiences will also get a chance to put on their thinking caps by participating in an interactive activity with the use of live polling tools. 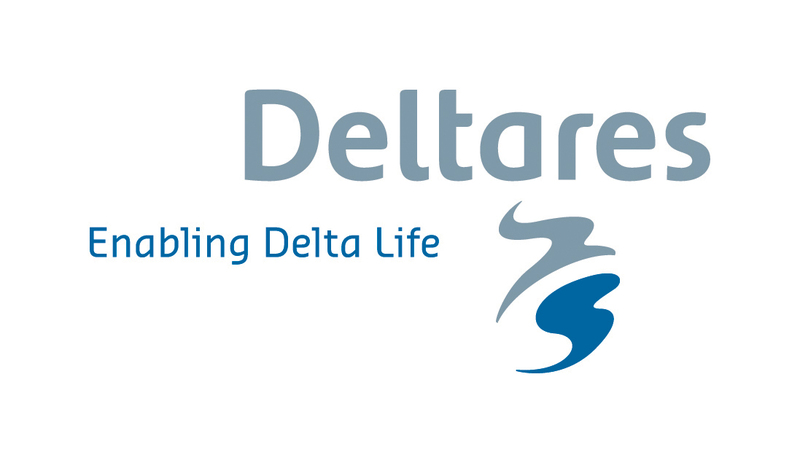 Dr. Marinus Vis is currently the Director of Deltares Singapore Operations. Mr Marinus Vis graduated in 1982 in Physical Geography from the University of Amsterdam. After research work and teaching assignments in various coun­tries, he joined Delft Hydraulics (now Deltares) in 1986. In 1989 he took his Ph.D. in Environmental Sciences from the University of Amsterdam. At Delft Hydraulics Dr. Vis specialized in policy analysis and sustainable and environmentally sound water resources development. He worked on a variety of projects in more than 30 countries. In the Netherlands he participated in a policy analysis to design measures and strategies to alleviate the flooding problems of the river Meuse, as well as in projects aiming at the design and evaluation of alternative flood risk management strategies for the lower Rhine River. Outside the Netherlands he contributed to the development of National Water Management Plans for Egypt, Trinidad and Tobago and Mongolia as well as to the design of various urban flood management plans, e.g. for Ho Chi Min City in Viet Nam. Dr. Vis developed as an expert on Environmental Planning and Environmental Impact Assessment (EIA). Since 1991 he lectures Environmental Impact Assessment at the UNESCO-IHE Institute for Water Education in Delft, the Netherlands. Dr Vis has been head of various departments in Deltares and responsible for the research programme on Integrated Water Resources Management. In 2016 he moved to Singapore to become director of Deltares Singapore Operations. 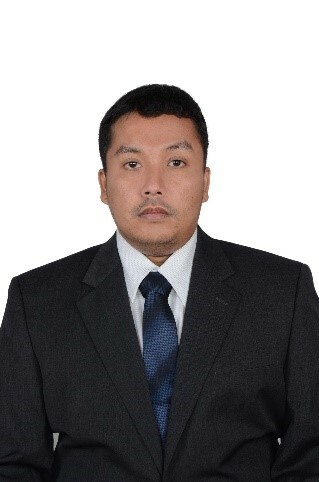 Mr. Abdul Malik Sadat Iris is the Director of Water Resources and Irrigation at the Indonesian Ministry for National Development Planning and holds a Bachelor of Engineering from the Bandung Institute of Technology and a Master in Civil Engineering from the University of Tokyo. He was also recently Leadership Fellow at the International Water Centre in Brisbane, Australia. He has over 15 years’ experience working in water resources management within the public sector. Dr. 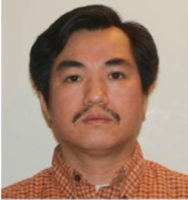 Le Quang Tuan is Deputy Director of Science Technology and International Cooperation – Vietnam Disaster Management Authority (VNDMA). VNDMA is newly established Agency since August 18th, 2017 to manage natural disasters in Vietnam and serves as the the National Standing Office of the Central Steering Committee for Natural Disaster Protection and Control of Vietnam. VNDMA is also a focal agency, that implements the Law on Natural Disaster Protection and Control as well as focal point to implement Sendai Framework in Vietnam. Dr. Le Quang Tuan graduated from the University of California, Davis, USA since 2014. He has strong background in water resources management and disaster risk reduction with more than 20 years of work experience in Ministry of Agriculture and Rural Development (MARD)’s bodies and focus on science technology and international cooperation, especially in the field of groundwater modeling and management, dam safety, river basin management, rural water sanitation and drought. He has completed a successful term as Co-chair of Emergency Preparedness Working Group under APEC (EPWG) from 2016-2017. 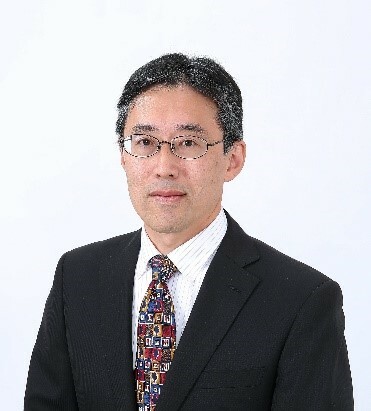 Mr Arata Ichihashi is currently the Chief Researcher of the Environment & Climate Change Division at the Tokyo Metropolitan Research Institute for Environmental Protection. Arata Ichihashi became the member of the Tokyo Metropolitan Government (TMG) in 1989 after his carrier as a civil engineer in private construction company and has been working for various organizations including the Bureau of Port and Harbor, Bureau of Waterworks, Tokyo Port Terminal Public Corporation, the Overseas Coastal Area Development Institute of Japan and Japan International Cooperation Agency. After committing to international affairs and developing policy and planning as a civil engineer in these organizations, he joined the Bureau of Environment in 2009 as a coordinating supervisor for research and developing climate change adaptation policies. Then he also became the first chief researcher for Urban Environment and Climate Change division, Tokyo Metropolitan Research Institute for Environment Protection in 2013. He is a member of the National Committee on Science and Technology for Environment and Energy. Mr Alejandro Viana is currently Coordinator of Structural Measures and Hydraulic Planning Special Projects unit During the last fifteen (15) years he worked on urban hydraulics issues participating and supervising the elaboration of the Hydraulic Management Master Plan for the City of Buenos Aires and in the process for obtaining the loan of the Inter-American Bank of Reconstruction and Development (IBRD – World Bank) for the construction of two alleviating tunnels. Within the Water Risk Management Program, he supervised the environmental aspects of the hydraulic works executed. Currently, within the Hydraulic Plan of the City of Buenos Aires, coordinates the Non-Structural Measures component and the environmental management of the works. 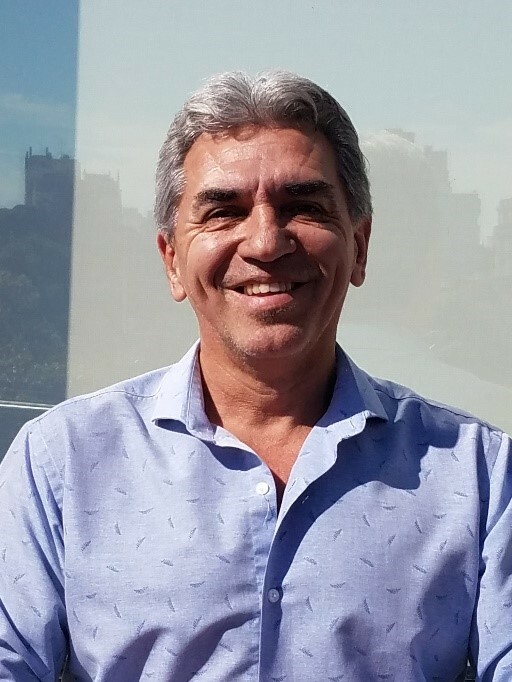 Alejandro Viana is an expert in urban water risk. He specialized in courses and seminars given by the Department of Hydraulics of the Faculty of Engineering of La Plata, Argentina, by the General Directorate of Civil Protection and Emergencies – Ministry of Foreign Affairs and Cooperation, Government of Spain, with experts from the International Bank for Reconstruction and Development (IBRD – World Bank) during the execution of the projects and by the World Bank Water Group, with the Spanish Cooperation Agency in Guatemala and in Bolivia and with the Japanese Agency for International Cooperation (JICA) in the area of emergencies, within the framework of the World Urbanism Forum in Medellin, Colombia. Jolanta Kryspin-Watson (moderator) is Lead Disaster Risk Management Specialist and Regional DRM Coordinator for the East Asia and the Pacific region at the World Bank. 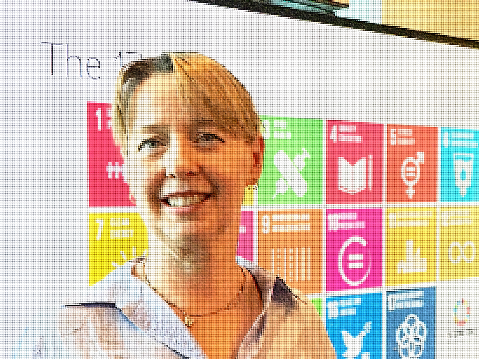 She has about 20 years of experience working on advancing disaster risk reduction around the world, including in Turkey, Albania, Croatia, Romania, the Philippines, China, Vietnam, Indonesia, the Pacific Islands States, and Algeria. She has led large scale reconstruction and disaster mitigation investment projects, analytical work and knowledge exchange initiatives in areas of: flood risk reduction, seismic retrofitting, emergency preparedness, climate adaptation, disaster risk financing and insurance, community-driven DRM, catastrophe risk assessment, weather forecasting and early warning, and post-disaster recovery and reconstruction. As a Fulbright Fellow, Jolanta received Master’s degree in Public Administration (MPA) from the State University of New York in Albany, and prior to that, in Business Administration (MBA) degree from University of Warsaw, Poland.